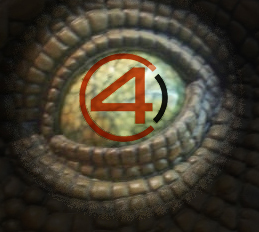 4Cent Friday is back with a concept rendering you definitely didn't see coming. If dinosaurs and humans lived together, what footwear would their caretakers wear? 4Cent Friday is a weekly design blog on SoleCollector.com written by a member of the 4Cent Design team. 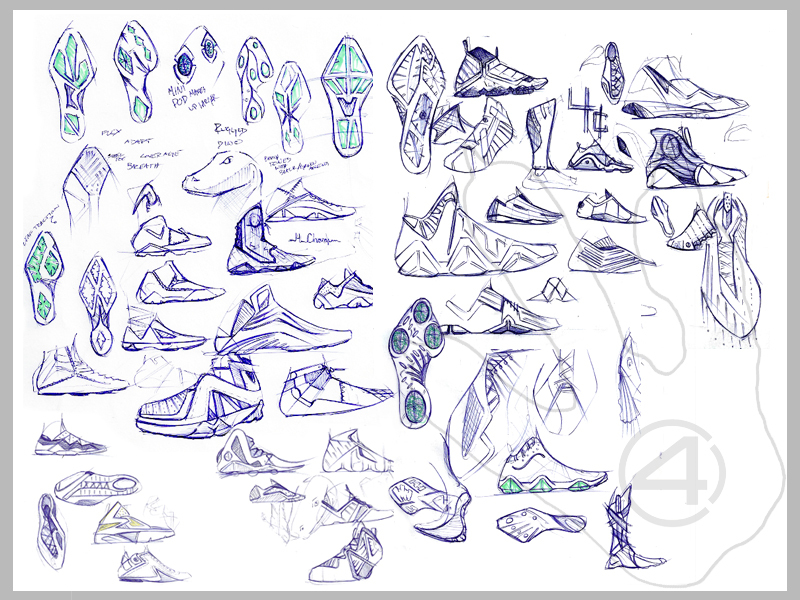 Subjects may range from discussing rendering skills to design inspirations, to thoughts and opinions on the state of footwear design as a whole. For more background on 4Cent Design, check our interview here. After looking at comments of past 4 Cent Friday fetaures, most of the negative criticisms have been about the designs being too futuristic. So, as a designer, the only way to respond was to go even further. It is important to keep moving forward, no matter how wild the idea may be, because it can always be dumbed down. It is also good sometimes to step away from actual projects we are working on and to really take on more of a challenge and try to test design limits. This week, I took the idea of footwear and applied it to the possibilities of interaction between humans and dinosaurs. 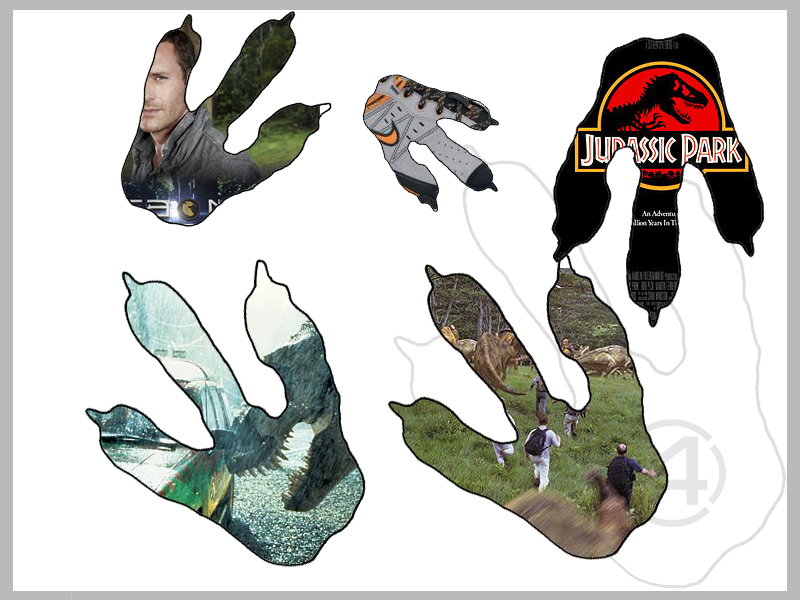 Inspired by movies and shows like Jurassic Park and Terra Nova. The possibility of bringing dinosaurs back has always been an interesting topic to me, so I created a shoe for if that time ever does happen in the future. Theoretically, people would be in environments with dinosaurs in the wild, or in contained areas due to jobs formed around the concept. They could either be caretakers, vets, researchers or even hunters. With that in mind, I wanted to create a shoe that would be useful to any type of job dealing with a dinosaur. I did a lot of thumbnails this time because I had trouble getting the look I wanted, which was something futuristic and different, yet utilitarian and connected to hiking boots and trail shoes of today. 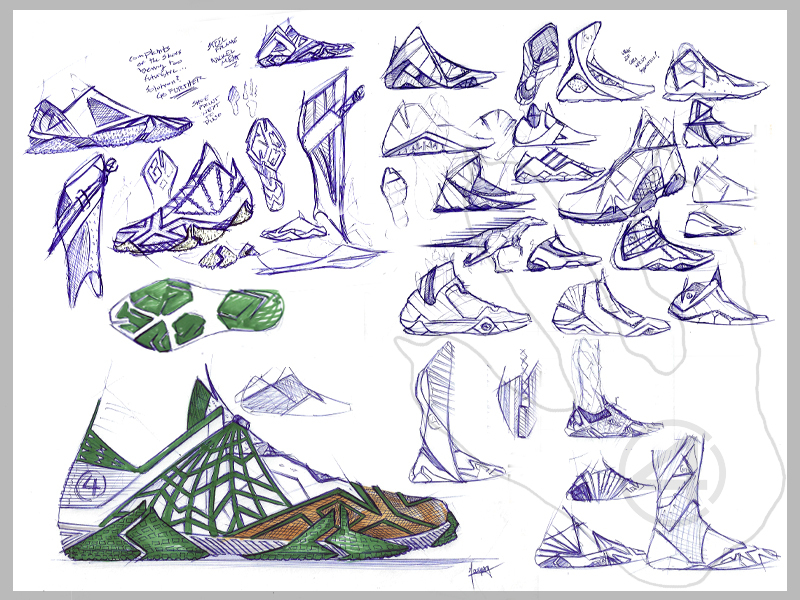 The shoe has many dynamic shapes and unusual angles, where I actually drew inspiration from prehistoric plants of time periods when dinosaurs existed. The main feature of the shoe would be a new Dino-Mesh, which would be similar to shark suits of today's worlds, but tweaked so that it is lighter and hopefully stronger. While it may not protect you against the giants, it could prevent losing toes to smaller bites. The mesh is placed over the toe and at the Achilles since these areas would be easier to grab and important to keep. Overlaying the Dino-Mesh are segmented strips of steel for more protection, if the wearer finds themselves in a dangerous situation with predators. The rest of the upper is synthetic leather with a no-sew construction, except for the one thick strip of piping to connect to the utilitarian look, which is also a magnetic strip to connect an optional leg sleeve. The leg sleeve is for hunters or anyone dealing in tall grass. It also contains a knife pocket on the side for a quick pull if needed. The rest of the technology relies on the tooling, which is a podular system that allows the user to stay very flexible and adapt to the terrain. Each pod contains a number of tiny cut squares, which allow even more precise flexibility when needed. There's a large pod for times when terrain is flatter, while the tiny ones come into use when the terrain is more rocky or uneven. The midsole also contains a water draining system to keep the shoes from wearing you down. It got quite rainy in Jurassic Park, afterall. 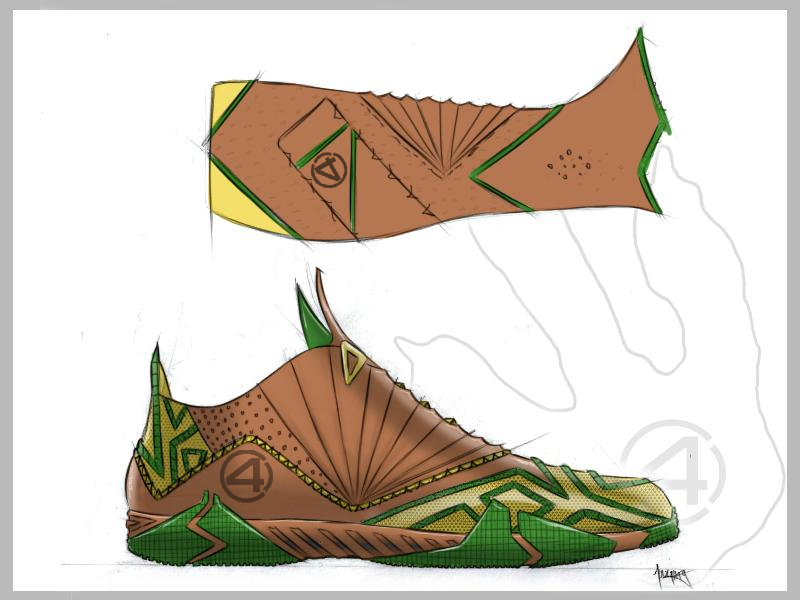 Overall, the shoe needed to be futuristic, but at the same time not be too far out there, where a person in this field wouldn’t want to wear it. I wanted to tackle a fun project to let people see a bit of my creative side -- let me know what you think! Look out for more entries every Friday from 4Cent Design, and be sure to check 4CentDesign.com and follow the guys on Twitter and Facebook. If there are any speciifc topics you'd like them to discuss, please leave some suggestions in the comments section.